This is a free 14-page welfare system essay example with sources. This paper was completed by a professional writer to be used as a template, guideline, or reference in helping you write your own essay. You can compare the paper you write to this example to make sure it follows the correct writing guidelines. If you need help writing an essay, check out our guide on how to write an essay. 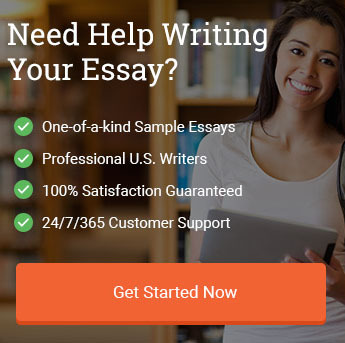 If you need a one-of-a-kind custom written essay example on your specific topic, you can place an order for one. REPORTS should be as long as necessary, but no longer. Grading will be based on content, grammar, and style (i.e., professional appearance/neatness counts). Typically, the report should contain at least 12 double-spaced pages of “real substance” – “real substance” does not include regurgitation of case background or tables, graphs, or appendices. However, your report should include all necessary, well-designed, professional quality tables, graphs, and appendices that are needed to successfully support your arguments and convey information to your audience. The reports also should contain a professional quality Executive Summary (because it repeats the key points and recommendations made in the report, the Executive Summary does not count as “real substance.”) Appropriate headers and/or footers and page numbering are part of any professional quality report. Please I have attached the case to be used for this report in the uploaded file portion. The Welfare Assignment Collections Unit case (aka, ACU) is attached. Salaries and general costs should be consistent with the time frame given in the case, however, to the extent you consider technology as a solution, you should assume availability of today’s technology at today’s prices. Your report should clearly address the “purposes” of the case, as well as other material and/or analysis you deem relevant. Note that the case includes numerous aspects from your course work, including, but not limited to, organizational/work unit design; personnel and management; work flow design; time and cost estimates; technology; administrative law; and, budget. · Conduct an in-depth operations analysis of a case processing program. · Develop a cost/benefit framework for assessing the current performance of a revenue-producing state program, as well as for the solutions you recommend. · Project performance targets and an operating system design consistent with the achievement of these targets. Make sure you provide specific and *detailed* information about the recommendations you make, including a reasonable budget; an implementation time-line; and, a benefit-cost analysis demonstrating the recommendations return on investment. Make sure all of your calculations are well documented, either in the report, appendices, or references to Excel spreadsheets. · What actions should Hempstead take? · What specific changes should Hempstead make? Why? How will such changes affect ACU’s ability to handle the future workload? Your REPORT should demonstrate an awareness of the objectives, resources, demands on, and environment of ACU, as well as an appreciation for program efficiency, effectiveness, and capacity. Above all, justify your conclusions with careful analysis wherever possible and be as specific as you can in explaining and motivating your recommendations. I include the following thoughts to help you to get a handle on the case. You should not answer the questions directly in the case, but your discussion, rationale, and recommendations should reflect your answer to these questions. · What are ACU’s major operational problems? Think about your answer in terms of the overall case processing system currently in effect at ACU. · Where does ACU (and, thus, Nancy Hempstead), fit in the organizational hierarchy? Which of the problems with ACU is Nancy Hempstead able to address? Which ones can she influence? Which ones are beyond her control? Please the tables indicating the cost benefit analysis and any other relevant tables should be in a separate excel spreadsheet with explanations. Please also make sure there is a two page executive summary. The rest should be a report and also make sure the relevant tables,budget,time and cost benefit analysis are well documented either an appendix or an excel spreadsheet. The Department of Public Welfare (DPW) started its assignment collection task by placing a lien on any future cash defrayal stemming from an accident concerning a welfare beneficiary. This was carried out in one of two ways. Initially, at the time an individual submitted an application for welfare. Then, the intake worker at the local welfare office asked whether the reason for asking for aid was because of an accident linked grievance for which a third party was accountable. The status of the Assignment Collections Unit (ACU) of DPW, has just been examined by Nancy Hempstead. Mrs. Hempstead is an energetic manager in an economically hard-pressed state government. Around two months ago, Mrs. Hempstead was able to manage a rare gem, she mentioned. This is extremely different from the many other DPW units. In these units, Mrs. Hempstead was working there for the last five years. ACU was a money maker for the state. They could do this by getting expenses made to welfare beneficiaries who had been involved in misfortunes for which there was a third party reimburser. The instrument was clear-cut. The department needed welfare beneficiaries to authorize an agreement communicating the proceeds of any insurance payment to the state. ACU, then positioned a lien counter to these settlements to recuperate a sum equivalent to cash grants and medical expenditures made by the Department on account of the accident. The financial plan, history, and recruitment of Hempstead’s office were obvious. Up until late 1981, ACU belonged to the Legal Department of DPW. During this time, local staff attorneys took care of all the caseloads. Throughout December of 1981, Finance Office would take in everything but it would all be done within the central office of DPW. All in acknowledgement of the status of its revenue collection purpose. Now, early in 1986, ACU was supervised with six paralegals, one for each area of the state, one manager and four office workers. For the year of 1986, they were able to collect $2.75 million. Mrs. Hempstead knew that numerous problems affected the company. Even though beneficiaries were lawfully required to give an account of accidents for which DPW could sooner or later earn expenses. Mrs. Hempstead was concerned that many of them did not inform the Department. Therefore, DPW frequently paid extensive medical bills for treatment to welfare beneficiaries who failed to appoint insurance earnings to the state. Mrs. Hempstead was also aware that any recipient, by not notifying DPW of the accident, could settle with an insurance company, keep the entire settlement, and still receive welfare benefits. ACU was uninformed of the degree of this issue. Mrs. Hempstead was concerned about the growing accumulation of active cases. All the remaining caseloads involved those for which payment by insurance companies anticipated conclusion of the ACU discharge procedure. Mrs. Hempstead has desires to create a comprehensive plan for refining program performance. Nevertheless, she was uncertain in regards to how her efforts to reinforce the performance of ACU would be influenced by the current high percentage of staff resignation rate among clerks and paralegals. Out of the six paralegals, three of them had been with the unit less than six months. Also, two of the four clerks, were employed less than two months. During 1985, collections had averaged $2,300 for each case. The purpose of this case is to assess the issues going on in the ACLU that is hindering its performances. Once everything is assessed, there needs to be an effective strategy implemented that will help solve these problems within the organizations. Other purposes of the case involved the personnel. ACU met many serious personnel issues. First, of the six paralegals, three had positions that were permanent, while the other 3 were paid as advisors. Even though all the paralegals had the same tasks, their salaries were not the same. The long-lasting paralegals were the ones that made $180 for each week with paid holidays, vacations, medical insurance and sick days. The consultants were able to come up with $207 for each week and this was without any kind of fringe benefits or free time with recompense. Furthermore, the job grade of all 6 of the paralegals was equal to that of clerks in several other divisions. Management did try to look for permanent slots for all the paralegals and then to elevate their jobs. This had been planned for around a year but it never happened. Thus, the paralegals went ahead and filed a grievance with their union so that they could get their positions raised. Referrals are not getting signed fast enough. Nevertheless, the director of a dissimilar WSO articulated that they understood the meaning of these recommendations and they act on them as soon as possible. This director made the point that they send the referral to the proper social worker who gets in contact the beneficiary on the phone. If the social worker decides that an assignment needs to be signed, then they recommend the recipient to come to the WSO as soon as they can in order to authorize the lien. Then another director at a different place communicated that honestly, their referrals get low priority around at their unit. They tried investigating them, nonetheless, every so often the outcomes were that the beneficiary said there had not been any accident, or that it had been something trivial. Since none of their investigations resulted in tasks, they decided that the social workers should use their time doing other things or with other cases. The data displays that in 1985, 30-40% of all transfers that are sent to the WSO’s did not get returned to ACU before three months were out. About 80%, of those that were returned, showed accidents with no third party legal responsibility. In the other 20% of the occurrences, caseloads were taken on. Part of the problem with personnel was that people were not happy. In fact, the tensions were way too high around the problems of the job upgrade. For instance, one paralegal talked about how having some of the paralegals to be long-lasting and some consultants were causing issues around the workplace. They keep making the point they were going to make all the employees permanent. Once they were permanent, then they were going to upgrade the positions. One worker was paid as a consultant, and but they were not happy, the problem was that they were not getting paid for sick days. Workers were running into issues like getting sick on the job, but at the same time, they were not able to stay home without losing pay, so they came to work anyway. Some of those that were consultants did not want to be made permanent, with or without the upgrade. Now, the consultants were all getting paid around $25 more a week than the paralegals that were permanent. The argument was that that cash was more important to them than sick days. If they were going to be made permanent but left at their current job grade, then, they did not want to be a part of it. Those that are the permanent paralegals dislike the idea that the consultants are making more cash and the advisors want paid vacations and sick days. There never seems to be a staff meeting without getting bogged down in this matter. It surely does not make this an easy-going situation to work in. Outside the position issue was a more systemic dilemma which was the turnover situation. Turnover among the paralegals was increasing at a rapid rate. This increase was because the paralegal location in DPW did not need any kind of experience, a person could stay in ACU. They could do this long enough to get the experience needed to get a job in a firm that was private where the pay was not bad. One of the paralegal made the point that they are constantly told that they are professionals and then but at the same time, only make $9,000 a year. In a private organization, they would make around $12,000 and that was their complaint. Also, in an organization, the paralegal arranges a lot of the work on a case. That includes a lot of preparation: back and forth to court, conferences with clients. They complained that they were chained to their desks from 9-5 with bad pay. They felt that it was important for them to leave at least long enough to take a paper over to an attorney’s office which was down the street. They were not really knocking their job. In one sense, they have the liberty to say no to some of the biggest lawyers in the state, but then again, they are just not looked at as being that important around the company. When it came to case processing’s, Mrs. Hempstead discovered that it was too time consuming. The case processing followed three steps which were the following: activation, auditing, and discharge. However, it took too long. For instance, they were taking up about 45 minutes of everyone’s time just to find five or six dissimilar identification numbers. Every one of the paralegals had a favored way of finding the ID number but it took a lot of time doing it. They usually try to look for the number in the Current file at first. They mentioned that they never use the Master file since there are too many pages in it, and it’s continuously misfiled. They complained that they do not have the time to constantly go through the pages every day. Another employee described her system for getting the numbers and expressed that in her region there’s an essential phone number where they call and they look up the numbers for them. This helps with the time and frees them up to do other things. A third paralegal mentioned that in their region the WSO’s are very unhelpful with ACU. They keep them on hold for 15 minutes and then just forget about them, or if they leave a message to have them call me back, it takes forever to hear from them. Our huge issue, however, is getting the data back from the WSO’s. It appears that most of them are just taking their time getting the information back to them. The ACU ask them to return the form back before 2 weeks is up, but it would end up taking about a month. ACU was also having problems with the kind of data they send back to them. Most of the times they don’t consist of the whole payment history, so they are not able to get a correct figure to give the lawyer. They have all the data in the WSO, nevertheless it appears that some of them are just not interested in looking it up. Mrs. Hempstead was able to discover that over the years, an accumulation of active cases grew. This is because cases settled by the insurance company and lawyers most of the time waited 6 months or more for a final release. The busiest paralegals were saying that there was no way they could get caught up. Most of them come in early and then have to stay late. However, they never catch up because they get further and further behind. But it’s not a smooth process–there’s no such thing as an average case. The real issue with this backlog is that the money is out there ready to be gathered, nevertheless there is not any e resources to get it. The element that a case has been started means that the ball is rolling. Equally the insurance company and the attorney are waiting to be told how much they owe ACU. The manager that was before Hempstead’s was seen as too rigid so when it came to compromise, it was not very effective. He was unwilling to find the middle ground very often or to make significant changes for money due. It would be wise for Mrs. Hempstead to use an in depth operations analysis which is the study of operational systems with the purpose of looking for chances for improvement. Make sure that the job grade of all 6 of the paralegals continues to stay equal to that of clerks in several other divisions. Make sure that management find permanent slots for all the paralegals and then to elevate their jobs. Set up effective protocols that will make sure referrals are implemented faster. Make sure that their referrals are getting the priority needed. Employees will spend more time on referrals and less on other activities. Make sure that the job upgrades are fair and comfortable for all employees. Some of those that were consultants did not want to be made permanent, with or without the upgrade. The new plan should not enforce them to do this. Turnover among the paralegals will be decreases by implementing programs that will help with transition of the employees. Paralegals complained that they were chained to their desks from 9-5 with bad pay. With that said, there needs to be better pay salaries to encourage the workers. The case processing followed three steps which were the following: activation, auditing, and discharge. However, to improve this, there needs to be less time spent on each step. The Master file needs to be implemented properly. Improve better communication with the WSO’s. Plant specific individuals that can just focus on the backlogs to get them caught up. Implement different strategies to make sure that employees follow the protocol that implement a new process that would keep them from getting backed up. Undoing the old and ineffective protocol of old management. Implement long and short term objectives that will help ACU. Mrs. Hempstead will need to apply the cost/benefit framework. To deal with the problems, she have developed the Cost/Benefit Analysis Framework. This is a general framework for hierarchical cost/benefit analysis intended at offering acceptable assessments for ACU to improve their projects. The framework classifies misappropriation cases into groups of threats for which surveyed risks and financial data are openly existing. Bypass Rate The probability that an attack will penetrate a ACU solution and result in noticeable issues that prevent it from happening. A 100% bypass rate means the security solution does not stop any incidents. In this case it is a 0% bypass rate which means the noticeable issues solution stops the firm from being successful. Residual Risk This is incident risk to the organization if the noticeable solutions are appropriately linked, used, and checked. In this case this would be all the risks because they are all connected. What actions should Hempstead take? Make sure that the DPW is not paying extra paid substantial medical bills for treatment to welfare recipients who failed to assign insurance proceeds to the state. Enforce rules and policies that make sure that others are aware that any recipient, by not notifying DPW of the accident, are still able to settle with an insurance company, while still being able to keep the entire settlement, and yet receive welfare benefits. Mrs. Hempstead needs to make ACU aware of the extent of this problem of paying extra money out that does not need to be. Hempstead also worried about the growing backlog of active cases for which payment by insurance companies awaited completion of the ACU discharge process. With that said, it is recommended that she enforce some policies that keep things from getting piled up. Mrs. Hempstead needs to develop a comprehensive strategy for improving program performance. Mrs. Hempstead needs to implement a strategy between ACU and WSO. Mrs. Hempstead also needs to implement better communication among the management and staff. Mrs. Hempstead needs to come up with new procedure that are for investigating referrals that are differed among some WSO’s. When it comes to handling future workload Mrs. Hempstead needs to implement a plan that will help them decide where they max out. Before she is able to start making changes to how they manage their workload, she will need to first need to understand where their upper limit lies. If they are starting to lose motivation in their work, feeling frequently tired, or butting heads with their coworkers, there is a big chance they have already crossed that brink and are approaching burnout. Mrs. Hempstead need to encourage the workers to get back in touch with the big picture. This will help the organization because it will help them to prioritizes about viewpoint. It starts with understanding that there are some things you might not—certainly, won’t—be able to achieve in the restricted time available to them. To do so, they need to first differentiate among urgent and important responsibilities. It is a possibility that nothing on their to-do list will strike them as primarily unimportant; if that were the situation, prioritizing wouldn’t really be an issue. Mrs. Hempstead needs to implement to the staff that they need to separate the things that need your immediate attention from those that do not, no matter how critical they are in the mid- to long-period. "Welfare System Essay." Aceyourpaper.com. Student Network Resources Inc, 10 August. 2017. Web. 20 April 2019. Student Network Resources Inc. "Welfare System Essay." Aceyourpaper.com. https://www.aceyourpaper.com/essay/welfare-system-essay/ (accessed April 20, 2019).